8/06/2007 — Acquisitions — Bentonville, Arkansas, Crystal Bridges Museum of American Art — A few months ago, the National Gallery in Washington D.C. stated it wished to acquire, along with the Crystal Bridges Museum, The Gross Clinic by Thomas Eakin. 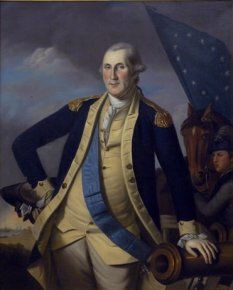 They were unable to do so due to the successful effort in Philadelphia to keep the painting in the city. 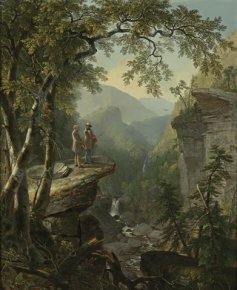 But the Crystal Bridges Museum, which will open its doors to the public in late 2009, has already started people talking. With immense resources at its disposal, it was founded in 2005 by Alice Walton, one of the Wal Mart heirs with an estimated fortune of 20 billion dollars. The goal of the museum is to build up a collection of American art from the Colonial period to the XXthC. Many purchases have already been made, but they have not been made public. The conditions under which some of these paintings have been purchased have aroused a controversy in the United States. It seems, in fact, that the museum has become an expert in the art of acquiring works from venerable institutions in financial straits, who are only too happy to sell, at steep prices, pieces that have been donated or bequeathed in the last century and which many consider as a part of local heritage. This was the case of The Gross Clinic which belonged to Thomas Jefferson University. It is also true of another painting by Eakins, acquired last April and which, like The Gross Clinic, was the property of Thomas Jefferson University. The Portrait of Professor Benjamin H. Rand (ill. 2) was offered by the model in 1877. This piece will be on loan to the Philadelphia Museum of Art until the inauguration of the museum. 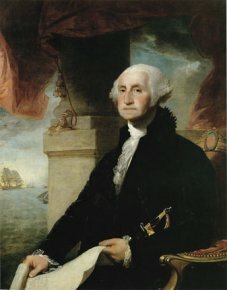 Two of the acquisitions come from the New York Public Library, a fact which has riled some of the local citizens : a Portrait of George Washington by Gilbert Stuart (ill. 3) purchased at Sotheby’s on November 30, 2005 for $7.25 million (before commission), which must have given the museum the idea of acquiring another work from the library Kindred Spirits (ill. 2), a masterpiece of the Hudson School by Asher Durand (at a private sale with Sotheby’s help). The Stuart work is on loan at the moment to the Houston Museum of Art whereas the Durand piece is for the moment on trust at the Brooklyn Museum in New York. The American media is speculating about a visit that Alice Walton made recently to the Maier Museum of Art, at Randolph-Macon Woman’s College in Lynchburg, Virginia which has a collection of American paintings of the XIXth and XXthCC. This university, as disclosed by the New York Times on May 25, is seriously considering the idea of selling at least a part of its holdings. 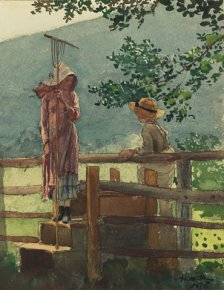 Among other works belonging to the Crystal Bridges Museum and displayed on the museum website, one can also see a Portrait of George Washington (ill. 4) by Charles Wilson Peale , a watercolor by Winslow Homer (ill. 5) and a painting by Charles Bird King representing an Indian chief . Acquired at Christie’s New York on May 18, 2004 for $5.5 million, before commission. The work is very close to one sold in 2002 in Cheverny, France (Etude Rouillac). Both were acquired at Sotheby’s New York on December 1, 2004, for $1.2 million and $1.8 million, before commission, respectively.